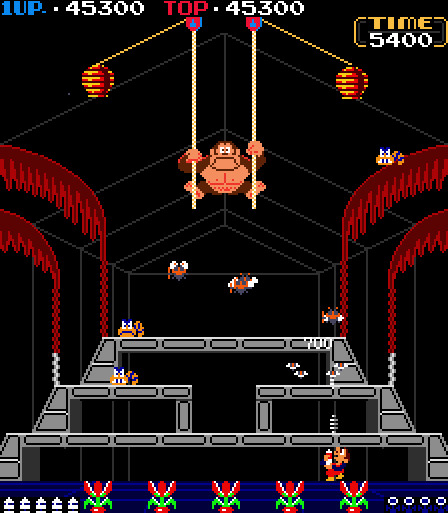 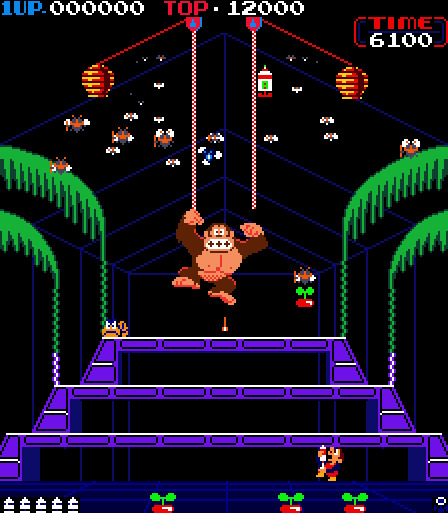 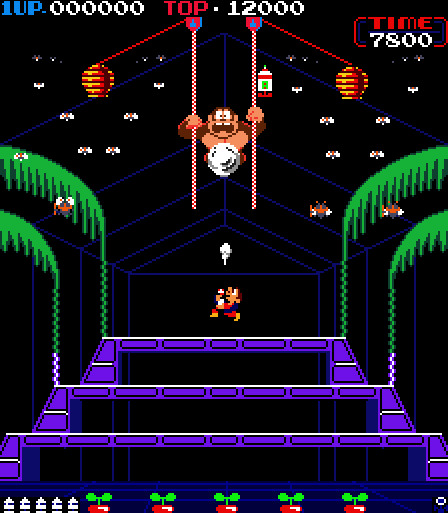 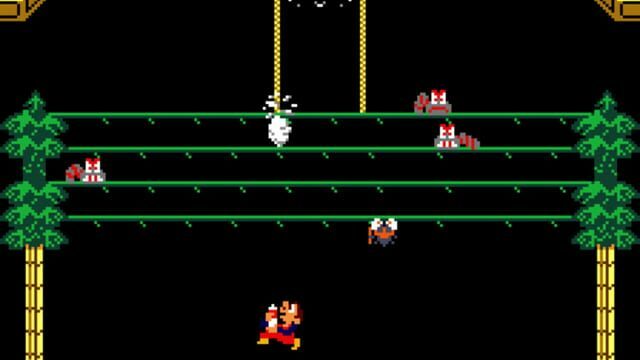 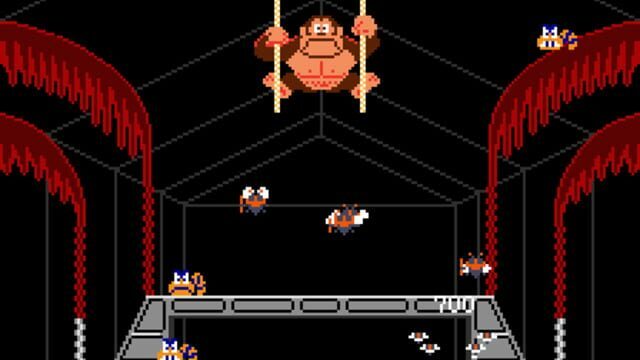 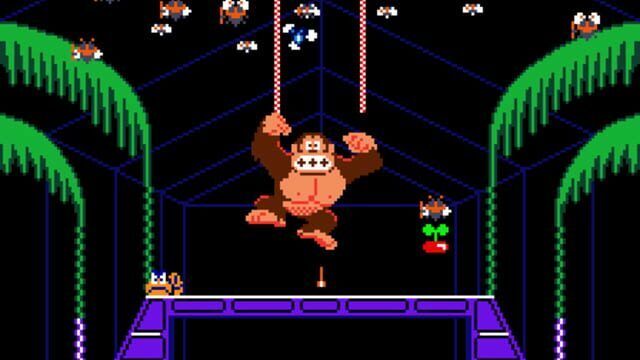 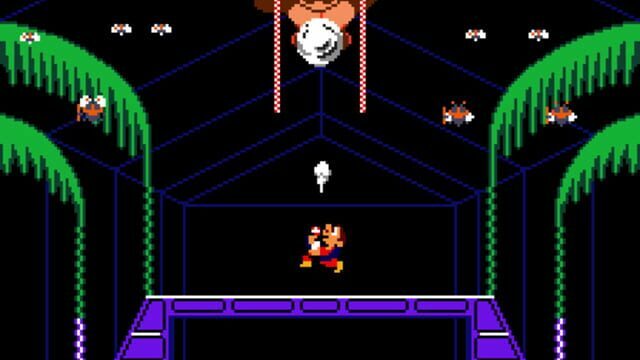 DONKEY KONG 3 is a shooting game released by Nintendo in 1983. 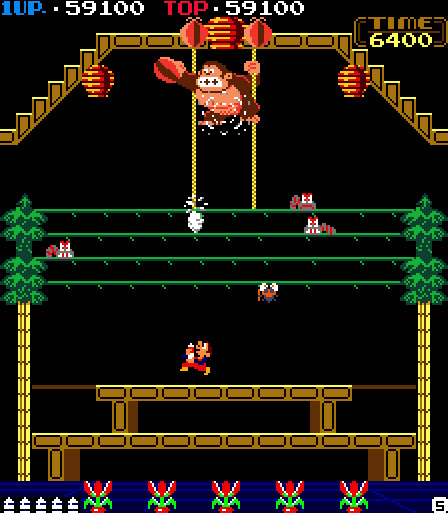 Take on the role of the hero STANLEY, and use your Sprayer to drive away DONKEY KONG and exterminate the various flower-stealing bugs that appear in the botanical garden. 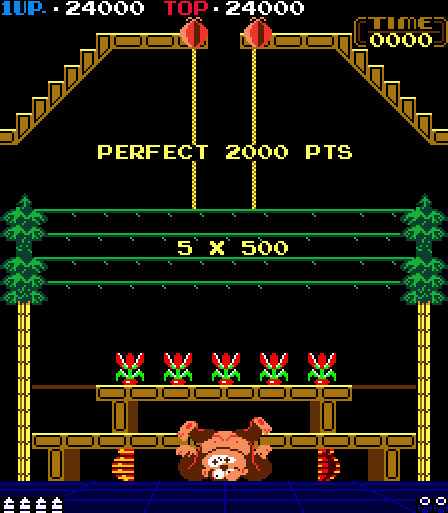 Get high scores with a perfect bonus by chasing off DONKEY KONG and having no flowers stolen!